2. Then click on "Settings". 3. Scroll down and click on "Advanced". 4. In the "Privacy and Security" section, click on "Content Settings"
3. 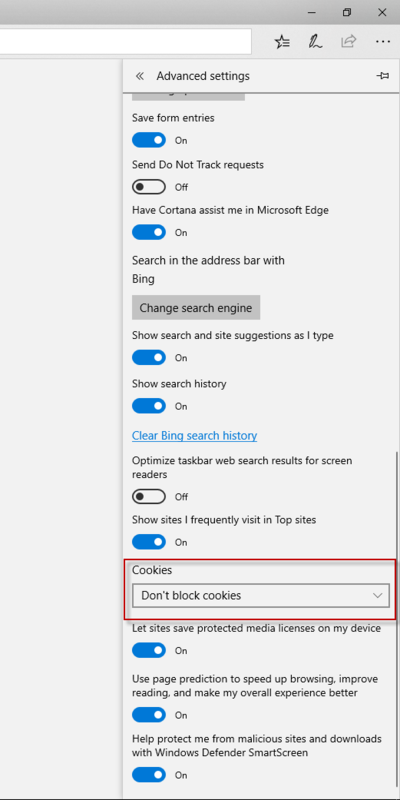 Make sure "Block third-party cookies" is turned off. 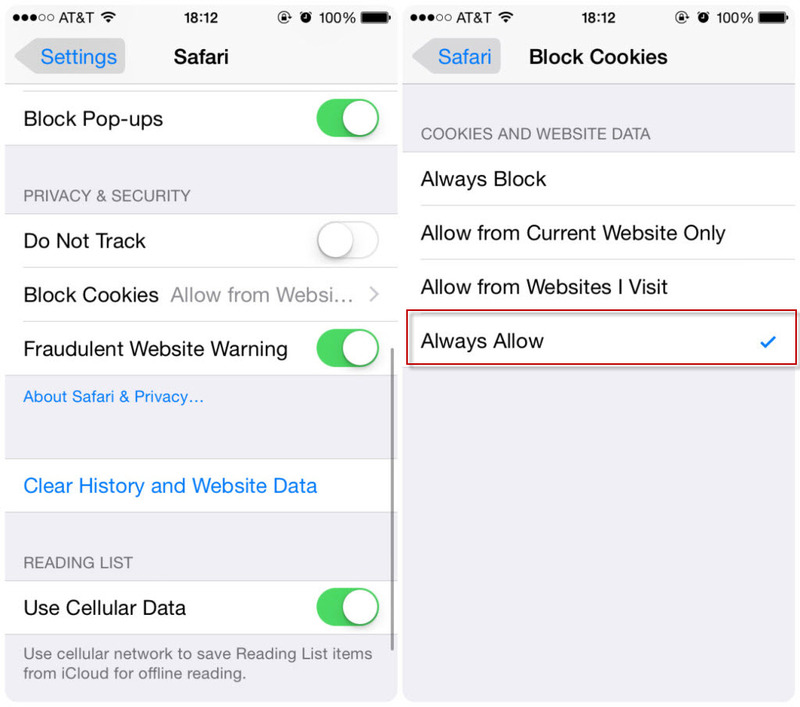 2.Click the Privacy tab, and then go to the “Cookies and website data” section. 3.Check on the option "Always Allow"
1. Open the preferences menu by clicking on the three bars on the top right corner, and then click on "Options". 3. 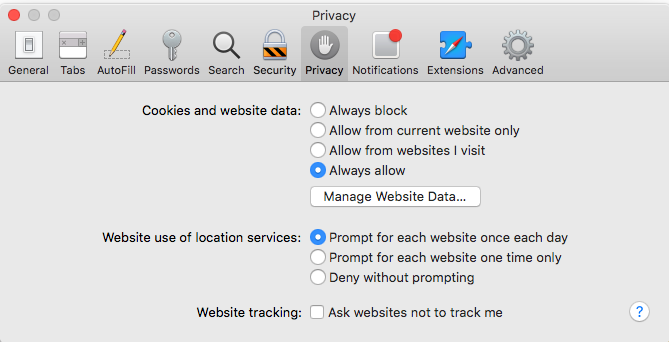 In the "Cookies and Site Data" section, make sure the "Accept Third-Party Cookeie and Site Data is set as "Always" and "Block cookies and site data" is unmarked. 1. Click on the More actions button in the top right corner and select Settings. 2. Scroll down the settings and click on View advanced settings button. 3. Under Cookies, select “Don’t Block Cookies”.